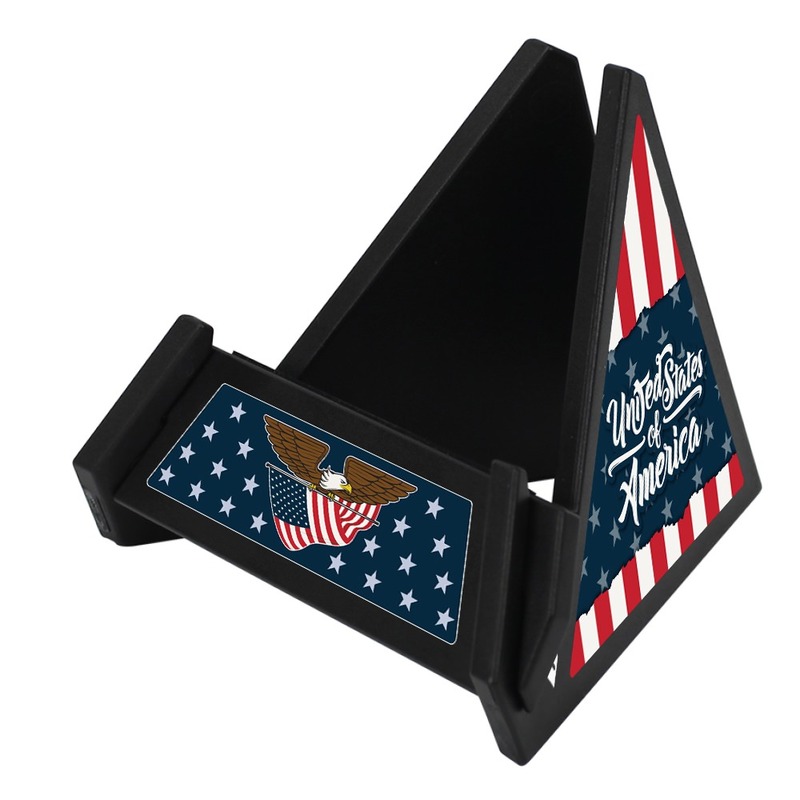 View your media the patriotic way, with this Black USA flag phone stand! Our gift to you for your qualifying purchase, you’ll just love the utility and aesthetic of this mobile device stand. Use it for your phone or your tablet, portrait or landscape mode! It’s super easy to assemble in seconds, no tools required! The stand won’t be moving thanks to sturdy rubber grips and you don’t have to worry about your charging cables getting in the way due to the non-obstructive design. Enjoy your free gift!